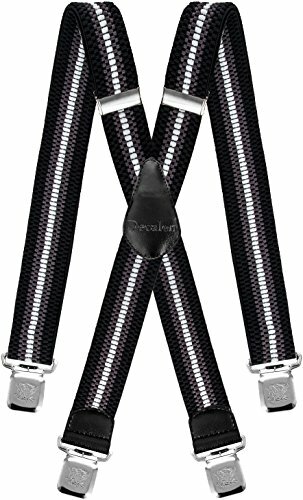 Decalen's suspenders are tailor-made, made of premium materials and have modern design. Our suspenders are suitable for: men, women and even teenagers, available in a range of styles, patterns, sizes and colours. Very strong clips ensure secure hold and unlimited freedom of movements. Decalen's suspenders are very comfortable, 1,5" wide, fully adjustable length, elastic fabric (74% polyester, 26 % elastodiene), designed for both men and women. If you have any questions about this product by Decalen, contact us by completing and submitting the form below. If you are looking for a specif part number, please include it with your message.